Google's showing no signs of slowing its pace of Android development, with Android 4.0 appearing on the Galaxy Nexus late in 2011, followed by the Android 4.1 Jelly Bean release that arrived powering the super Nexus 7 in July of 2012. Two more flavors of Jelly Bean were to follow: Android 4.2 was released on 13 November 2012, and then Android 4.3 arrived on 24 July 2013. Throughout the Jelly Bean reign, we've been gathering rumors of the next major Android update, Android 5.0. The word was that this release was being developed under the dessert-related codename of Key Lime Pie but then on 3 September 2013, Google announced that Android 4.4 KitKat would precede Android 5, so the Key Lime Pie name looks to have been ditched. We're still expecting an Android 5 release, of course, but with different features, a new code name and a later release date than we were originally anticipating. The dessert-themed moniker that we assume will begin with L is anyone's guess at this stage. Android 5.0 Lemon Cheesecake or Android 5.0 Lemon Meringue Pie, anyone? As we wait on official news of that code name, as well as the Android 5.0 release date and features, we can start to pull together the latest rumors from around the web. Until Android 4.4 was announced we had expected the Android 5.0 release date to be some time in October 2013. We now expect to see Android 4.4 KitKat launch during that month. In the face of that point release, we think it's now likely that we'll see Android 5.0 shown in mid-2014, quite possibly at Google IO, Google's annual two-day developer conference in San Francisco. That's a year on from when we had originally expected to see Android 5.0, which was at Google IO 2013, which took place from May 15 to May 17 2013. Given that Google announced Android 4.1 Jelly Bean at 2012's IO conference, it seemed reasonable to expect to see Android 5.0 at the 2013 event. But on 13 May 2013, we got our confirmation that there would be no serving of Android 5 at Google IO from Sundar Pichai, Google's new head of Android. Pichai told Wired that 2013's IO is "not a time when we have much in the way of launches of new products or a new operating system". Boo! "Both on Android and Chrome, we're going to focus this IO on all the kinds of things we're doing for developers so that they can write better things," he added. Rumors of a new Nexus handset started trickling in during the third quarter of 2012, as we reported on 1 October 2012. There was talk that this phone would be sporting Android 5.0 but the handset, which turned out to be the Google Nexus 4, arrived running Android Jelly Bean. While the Nexus 4 didn't appear with Android 5.0, speculation that we reported on 21 January 2013 suggested that the Motorola X was the Android 5.0-toting handset that would be revealed at Google IO. The Moto X wasn't on show at IO and instead appeared in August 2013, running Android 4.2.2. We also heard whispers that a new Nexus phone, most likely the Google Nexus 5, might be blessed with Android 5.0 and on 18 March 2013, supposed images of the Nexus 5 surfaced, with the handset apparently being manufactured by LG. If the accompanying specs, leaked along with the photo by the anonymous source, are true, then the Nexus 5 will feature a 5.2-inch, 1920 x 1080 OLED display, 2.3GHz Qualcomm Snapdragon 800 processor and 3GB of RAM. The latest speculation, which we reported on 13 September 2013, suggests that the Nexus 5 will now arrive sporting Android 4.4 KitKat. If rumors that we covered on 30 May are correct, then HTC will be bringing us an Android 5.0-powered 'phablet' in the form of the HTC T6 (now looking as though it'll launch as the HTC One Max). Featuring a 5.9-inch full-HD screen, the One Max will be squaring up against the Samsung Galaxy Note 3, which broke cover at IFA 2013. According to tipster evleaks, the One Max will feature a 2.3GHz quad-core Snapdragon 800 processor, 2GB of RAM and 16GB of internal storage. With a rumored release date of the end of 2013, though, it's going to arrive too early to come with Android 5.0 out of the box. The original Nexus 7 tablet was unveiled at Google IO 2012, so we thought it possible that we'd see a refreshed Nexus 7 2 at Google IO 2013. The speculation earlier in the year was that Google would team up with Asus for this, as it did with the original Nexus 7. We expected an upgraded display on the new Nexus 7 tablet, while Digitimes reported that the 2nd generation Nexus 7 would have 3G service and range in price from $149 to $199. The new Nexus 7 was a no-show at IO, but the Asus-built device was later launched by Google on 24 July 2013, albeit running Android 4.3 rather than 5. Although Samsung is yet to officially confirm its Android 5.0 schedule, a SamMobile source is claiming to know which phones and tablets will be getting the upgrade. According to the source, the devices set to receive the upgrade are the Galaxy S4, Galaxy S3, Galaxy Note 2, Galaxy Note 8.0 and Galaxy Note 10.1. Do note that this claim was made before Google announced Android 4.4, so if it was ever correct, it's probably a lot less correct now. For 24 hours, it seemed as though the first kinda, sorta confirmed feature for Android 5.0 was a Google Now widget, which briefly appeared in a screenshot on the company's support forum before being taken down. As it was so hurriedly pulled, many people assumed it was slated for the big five-o and accidentally revealed early. As it happened, the following day, on 13 February 2013, the Google Now widget rolled out to Jelly Bean. On 28 February 2013, we learned from Android Central that Google is working with the Linux 3.8 kernel, which gave rise to the notion that this kernel might power Android 5. One improvement that the 3.8 kernel brings is lowered RAM usage, which would mean a snappier phone with better multitasking. On 13 June 2013, VR-Zone also claimed that Android 5.0 will be optimised to run on devices with as little as 512MB of RAM. We're now expecting that Linux 3.8 kernel to show up in Android 4.4, given that Google's stated aim with KitKat is "to make an amazing Android experience available for everybody". Android Geeks reported that Google Babble would debut on Android 5.0. Babble was the code name for Google's cross-platform service and app with the aim of unifying its various chat services which include Talk, Hangout, Voice, Messenger, Chat for Google Drive and Chat on Google+. A screenshot that we were sent from a Google employee on 8 April confirmed that not only was this unified chat service on the way, but that it was called Google Babel not Babble. The service was to come with a bunch of new emoticons and Google+ built-in so you can jump from Babel chat to hangout. A leaked Google memo on 10 April provided a few more juicy details including talk of a new UI and synced conversations between mobile and desktop. On 10 May, we discovered that Babel would launch as Google Hangouts, and on 15 May we saw it come to life for devices running Android 2.3 and up. So much for it debuting on Android 5. Following an 18 April tear-down of the Google Glass app MyGlass by Android Police, it looked as though there may be an iOS Games Center-like service coming to Android 5.0. Android Police found references in the code to functionality that doesn't exist in Glass, which suggested that developers accidentally shipped the full suite of Google Play Services with the Android application package. The files in the package contained references to real-time and turn-based multiplayer, in-game chat, achievements, leaderboards, invitations and game lobbies. As expected, we found out more about Google Play Games at Google I/O, but it's not an Android 5.0 feature after all as it has been made available already. While this is pure speculation, we're wondering whether Android 5.0 might bring with it a brighter interface, moving away from the Holo Dark theme that came with Android 4.0. Google Now brought with it a clearer look with cleaner fonts, and screenshots of Google Play 4.0 show Google's app market taking on similar design cues. 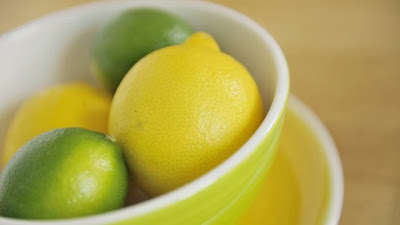 Is this a hint at a brighter, airier look for Key Lime Pie? On 6 August 2013, we learned that Google had applied to patent a rather cool piece of functionality whereby an Android user would be able to launch different apps by drawing different patterns on the lock screen. If this feature makes it into Android 5, we could be able to launch the camera app by drawing one pattern and Twitter by drawing another. Another little power strip style widget for phone performance profiles would be an easy way to do it. Android doesn't really do much for social network users out of the box, with most of the fancy social widgets and features coming from the hardware makers through their own custom skins. Sony integrates Facebook brilliantly in its phones, and even LG makes a great social network aggregator widget that incorporates Facebook and Twitter - so why are there no cool aggregator apps as part of the standard Android setup? Yes, Google does a great job of pushing Google+, but, no offence, there are many other more widely used networks that ought to be a little better "baked in" to Android. Another area where the manufacturers have taken a big leap ahead of Google is in integrating clever alternate text entry options in their keyboards. HTC and Sony both offer their own takes on the Swype style of line-drawing text input, which is a nice option to have for getting your words onto a telephone. Get it into Android 5.0 and give us the choice. UPDATE: Google heard us and this feature appeared in Android 4.2. How odd is it that Google's put a front-facing camera on the Nexus 7 and most hardware manufacturers do the same on their phones and tablets, yet most ship without any form of common video chat app? You have to download Skype and hope it works, or find some other downloadable app solution. Why isn't there a Google Live See My Face Chat app of some sort as part of Android? Is it because we're too ugly? Is that what you're saying, Google? The Android contacts section is pretty useful, but it could be managed a little better. What if you have the idea of emailing or texting a handful of your friends? The way that's currently done is by emailing one, then adding the rest individually. Some sort of checkbox system that let users scroll through names and create a mailing list on the fly through the contacts listing in Android Key Lime Pie would make this much easier. If you're a constant SIM swapper with more than one phone on the go, chances are you've lost track of your text messages at some point. Google stores these on the phone rather than the SIM card, so it'd be nice if our texts could be either backed up to the SIM, the SD card, or beamed up to the magical invisible cloud of data, for easy and consistent access across multiple devices. This would annoy developers so is unlikely to happen, but it'd be nice if we could refuse app updates permanently in Android 5.0, just in case we'd rather stick with a current version of a tool than be forced to upgrade. Sure, you can set apps to manual update and then just ignore the update prompt forever, but it'd be nice to know we can keep a favoured version of an app without accidentally updating it. Some of us are still using the beta Times app, for example, which has given free access for a year. Something Apple's been doing for ages and ages is using a promo code system to distribute free or review versions of apps. It even makes doing little competitions to drum up publicity for apps much easier, so why's there no similar scheme for Android? It might encourage developers to stop going down the ad-covered/freemium route if they could charge for an app but still give it away to friends and fans through a promo code system. It's be nice to be able to sort the Settings screen by alphabetical order, too, or by most commonly used or personal preference, as Android's so packed with a huge list of options these days it's a big old list to scroll through and pick out what you need. Plus could we have a percentage count for the battery in the Notifications bar for Android 5.0? Just so we know a bit more info than the vague emptying battery icon. Some may be basic and other.